Widely acknowledged as one of the leading litigators in the Mid-West region, Niall’s experience runs to hundreds of negotiated settlements in respect of personal injury* claims. He represents the interests of claimants, defendants and insurers with a very substantial portion of settlements being negotiated personally. Niall has also been involved in personal injury* claims arising from incidents occurring in America, England, Germany, Austria and other countries. Compulsory Purchase Orders are an area of particular interest to Niall and he has prepared objections on behalf of several clients to the Barrack Street Redevelopment Project, the Bunratty Bypass Project, the Ennis Bypass Project, the Gort to Crusheen Bypass Project and the Bord Gáis Éireann “Pipeline to the West” Projects. Niall represented the objectors at all of the above hearings and prepared, presented, negotiated or brought to arbitration claims maintained on behalf of clients subjected to the Compulsory Purchase Orders in question. Niall has also presented and defended claims under the Unfair Dismissals legislation, Minimum Notice and Terms of Employment legislation, Redundancy Payments legislation and in respect of Harassment, Bullying, and Work-Related Stress Conditions. 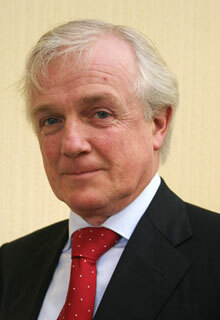 Niall has represented plaintiffs and defendants in claims arising from rights of way, boundary disputes, nuisance, flooding, diversion of waterways and many other disputes between rural and urban neighbours. Outside of the Court room, Niall enjoys cycling, gardening, DIY, and following the fortunes of the Clare Hurlers and Arsenal AFC.